CelebritiesBuzz.co has reported a while ago that Kumawood actress, Clara Benson populary known as Maame Serwaa has lose his mother. Per the reports, Rose Benson, mother of the talented actress died this dawn, December 7 in Kumasi after suffering a short illness. She left behind 3 children — 2 boys and a girl including Maame Serwaa. Photos obtained by Busumuru Sean Kingston from Serwaa’s family house sees the young actress weeping uncontrollably. 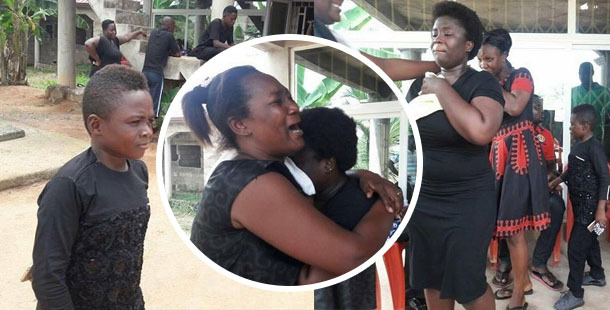 Family and friends were seen comforting the young Kumawood star.